« What Is the Zika Virus? Osteoporosis is a common condition among those with HIV. HIV is a crippling disease that slowly but surely tries to break down your body’s defenses. The virus compromises your immune system and your ability to fight off infections, leaving you vulnerable to the diseases of the world. One such condition includes osteoporosis. Osteoporosis is a condition that affects both men and women over the age of 50. More than 4 percent of men and 16 percent of women over the age of 50 live with this disease in their femur neck or lumbar spine. To make matter worse, those with HIV are more likely to develop osteoporosis and scientist are unsure why. The bones are the structure and frame of our body, allowing us the ability to move. Strong and healthy bones are needed to keep the body upright, moving, and working properly. When osteoporosis strikes, the bones in our body begin to hollow out. This loss of bone density and mass causes bones to become weaker, leaving them susceptible to breakage. Severe cases are known cause damage when a person sneezes or receives a minor bump. The longer a person has osteoporosis, the more likely they are to experience hip fractures, a collapsed vertebra, severe back pain, a loss of height, and spinal deformities. How Are the Two Diseases Connected? Long-term use of other medications like blood thinners, an antiseizure medicine, and corticosteroids. Unfortunately, it can be hard to determine if you have osteoporosis unless you have broken a bone. This symptom the first sign of the disease. The U.S. Department of Health and Human Services (HHS) recommends bone density test for women over the age of 65, as they are the most at risk for the disease. If you are HIV positive and over the age of 50, you should get tested as well. It’s important to look out for strain in your bones and joints, as well of any abnormal pain in those areas caused by a sudden bump or fall. 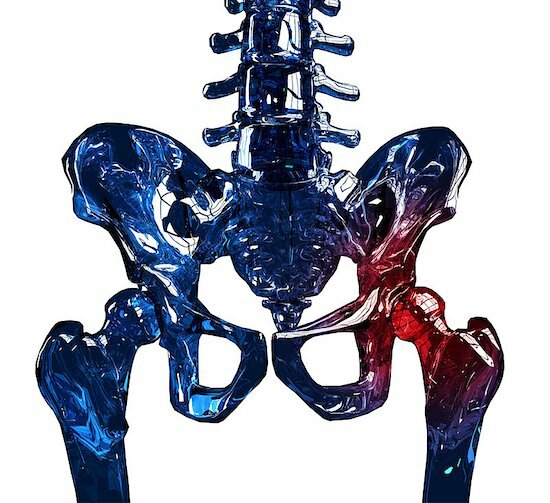 If you are HIV positive but do not have osteoporosis, there are measures that you can take to prevent the disease. A healthy diet will replenish the nutrients you need to maintain healthy bones. Be sure to eat plenty of foods with calcium and vitamin D. A healthy lifestyle will also slow the rate of bone loss. Exercise often and cut out bad habits like smoking and drinking alcohol. The most important thing that you can do is see your doctor or HIV specialist. An expert can guide you and the risk and steps to dealing with HIV and disease like osteoporosis. This entry was posted by ADMIN on June 12, 2017 at 11:00 am, and is filed under HIV. Follow any responses to this post through RSS 2.0.You can leave a response or trackback from your own site.